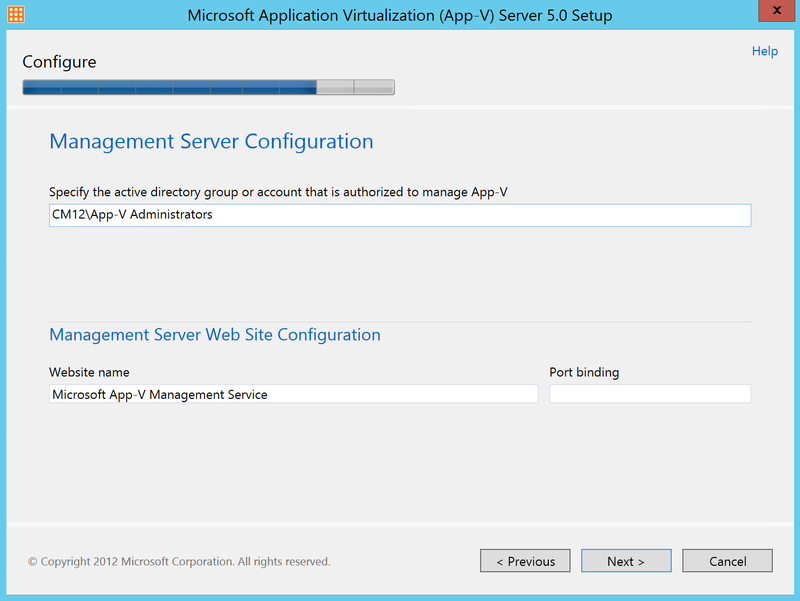 Recently I have been testing the features of App-V and deploying applications i my own lab, something that was much easier than I thought to begin with. 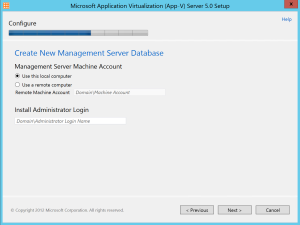 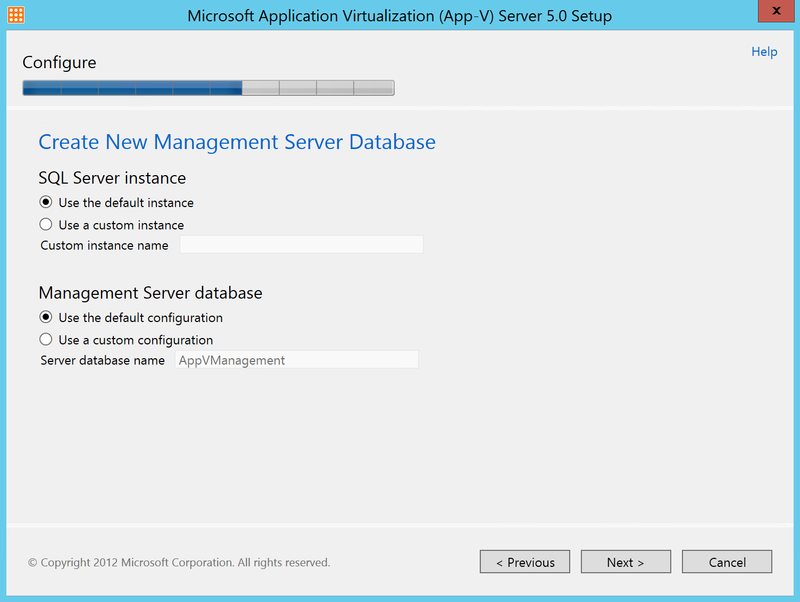 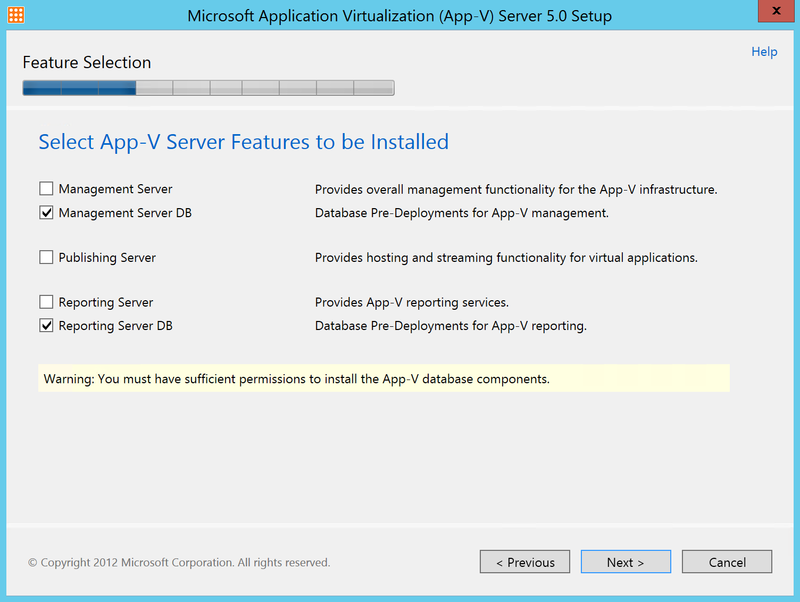 In this guide I will show you how to install and configure the infrastructure needed to run App-V.
For the people who look extra carefully at the pictures, you will see that I run the databases on the same server as ConfigMgr. This is not allowed if you are using the license for SQL that comes with Configuration Manager! 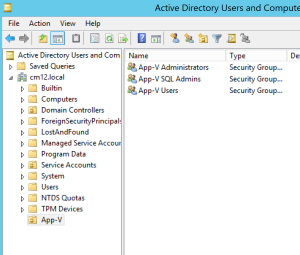 On the AD server, we need to create three groups for our different roles in App-V. 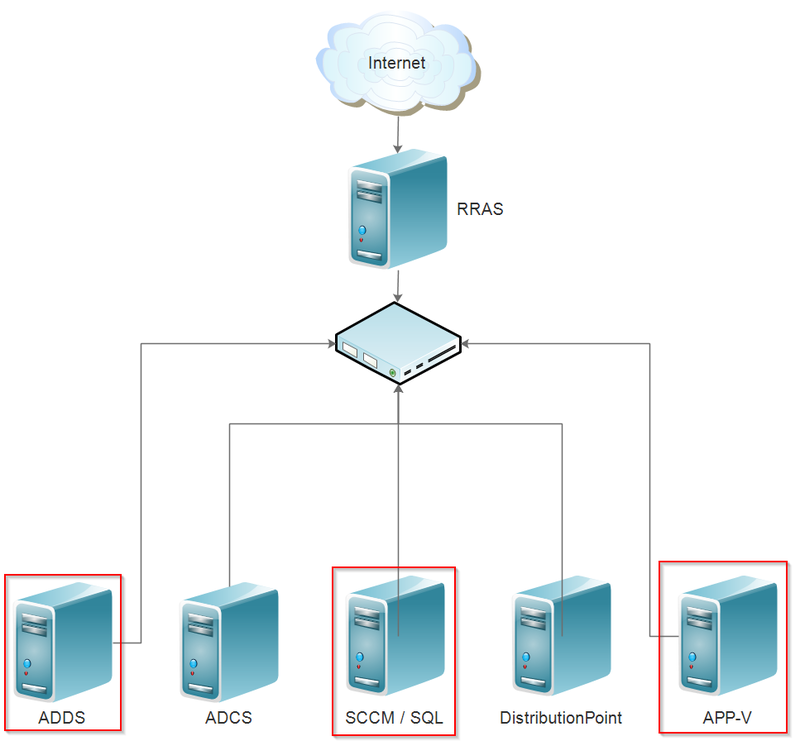 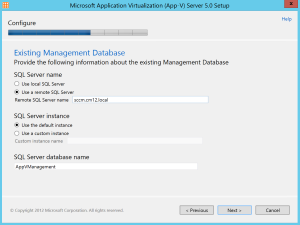 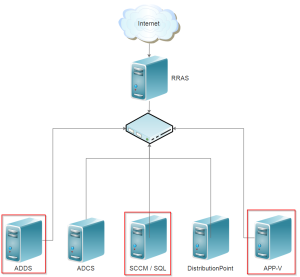 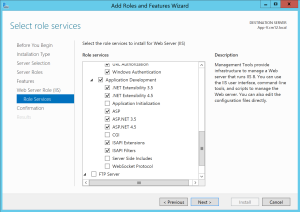 This next part can be done in two ways, depending on the access you have to the SQL-server. If you have access to the server, the databases can be prepared using the installer, but if not, there are two scripts that can be sent to your administrator for him or her to run. I will show you how to prepare the database using the installer. 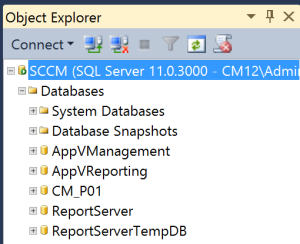 This is part is done on the SQL-server! 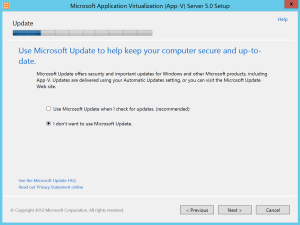 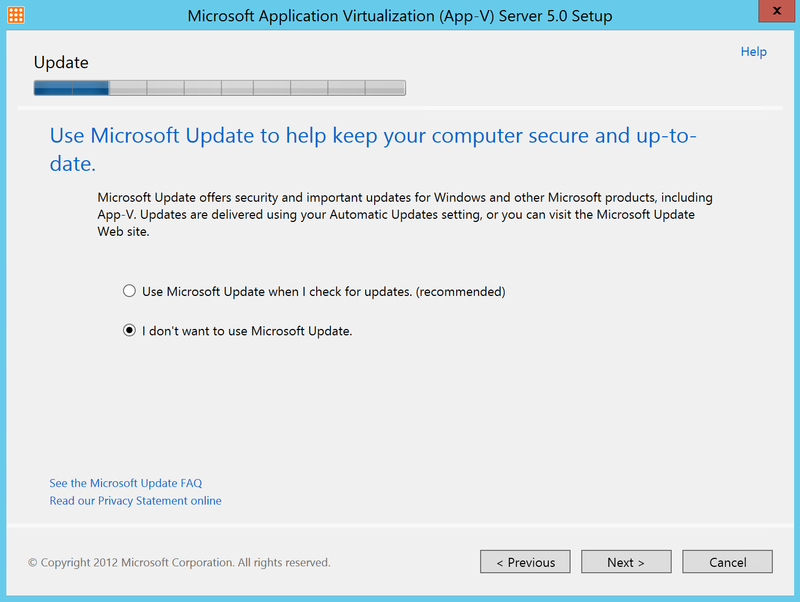 Depending on your other configurations, select the appropriate setting for updates. Next, select to install “Management Server DB” and “Reporting Server DB”. 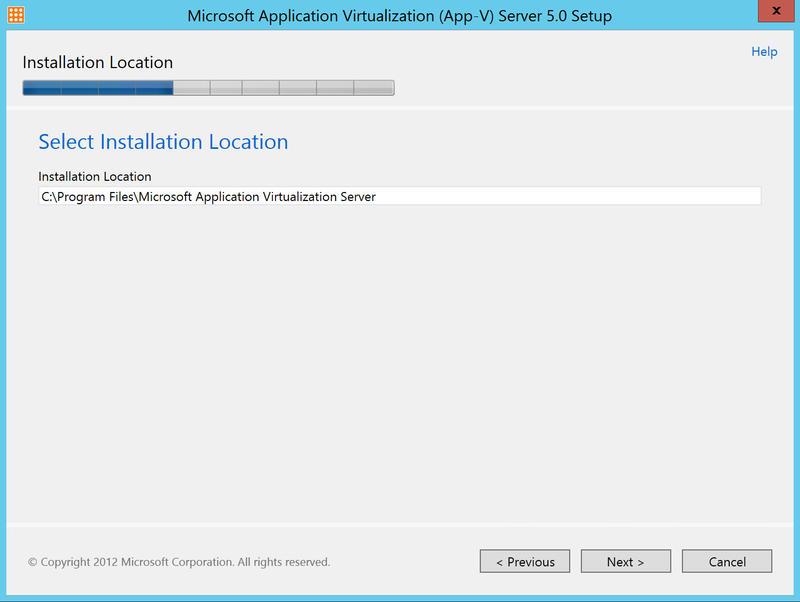 Select the default install location and press “Next”. 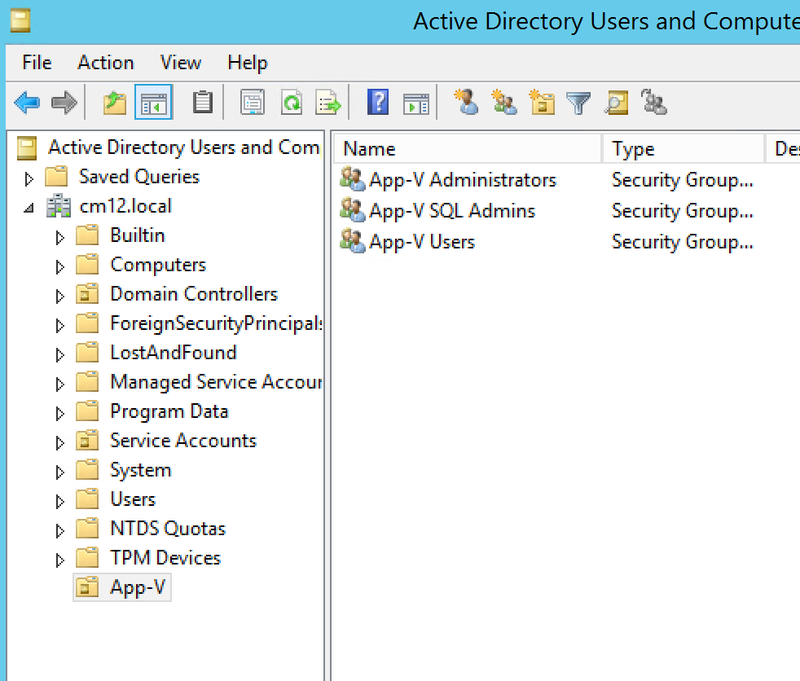 Select “Use this local computer” and specify the account for administrator login. 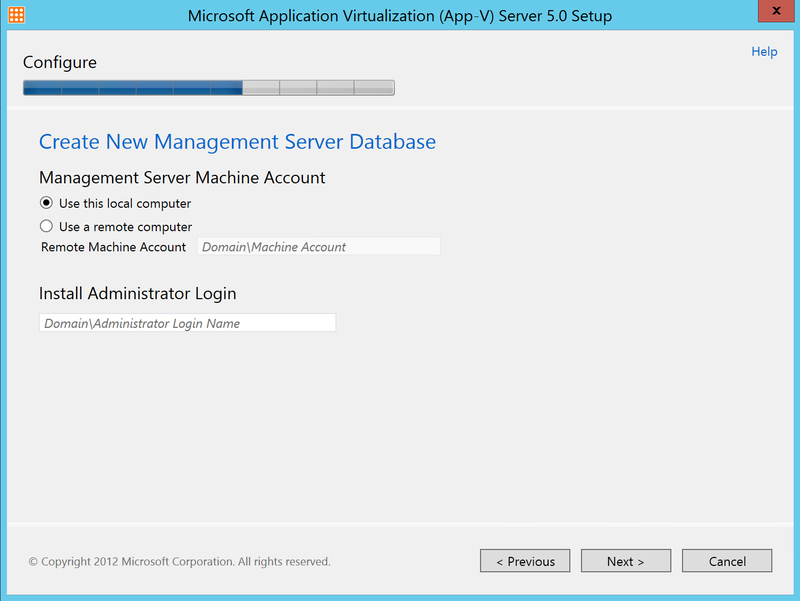 Select “Use this local computer” and enter the details for administrator login. 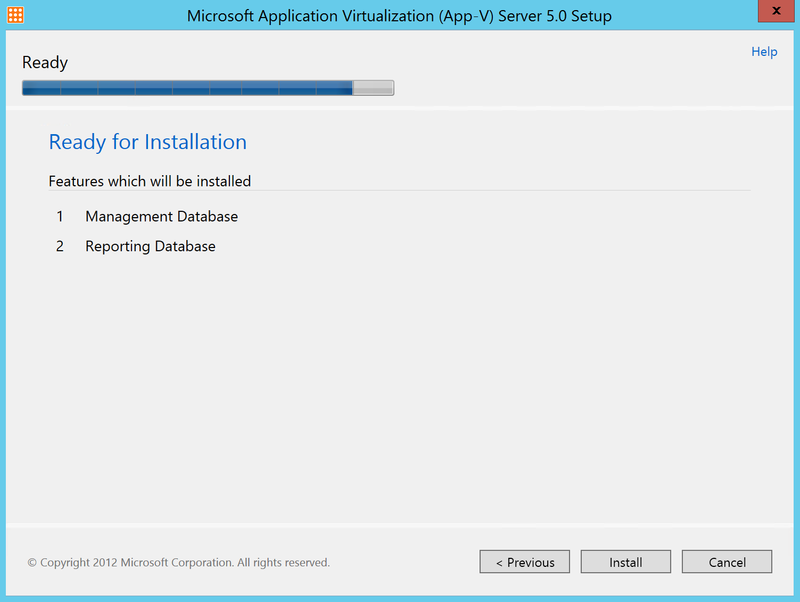 Verify that “Management Database” and “Reporting Database” will be installed and press “Install”. 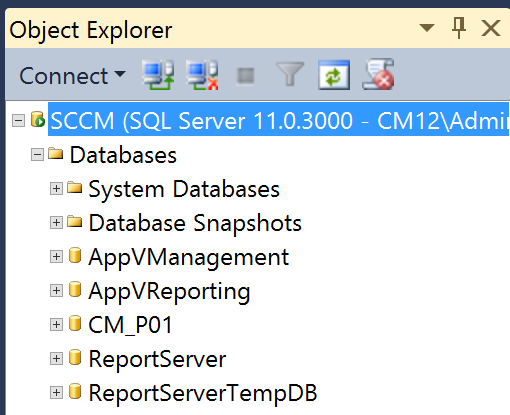 When finished, click on “Close” and verify in SQL that the databases has been created. 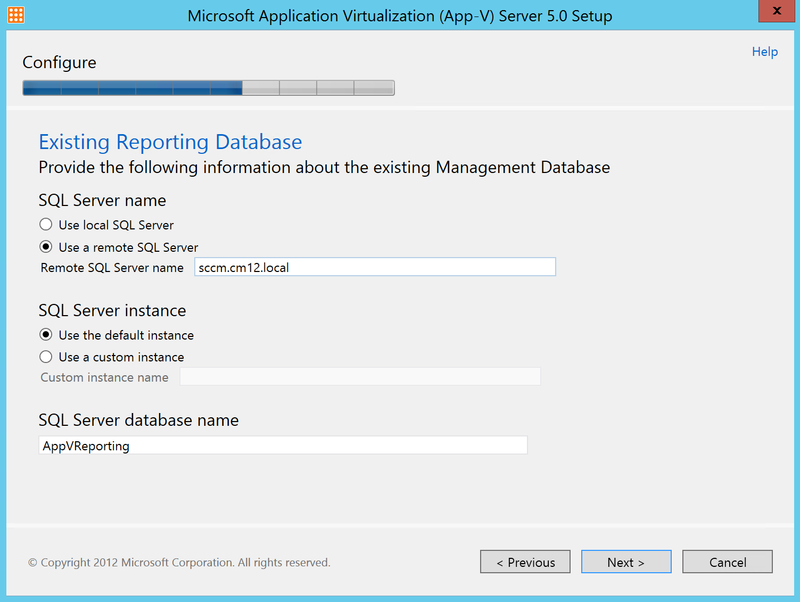 When the databases has been created, it is time to install the “Management Server”, “Publishing Server” and “Reporting Server”. 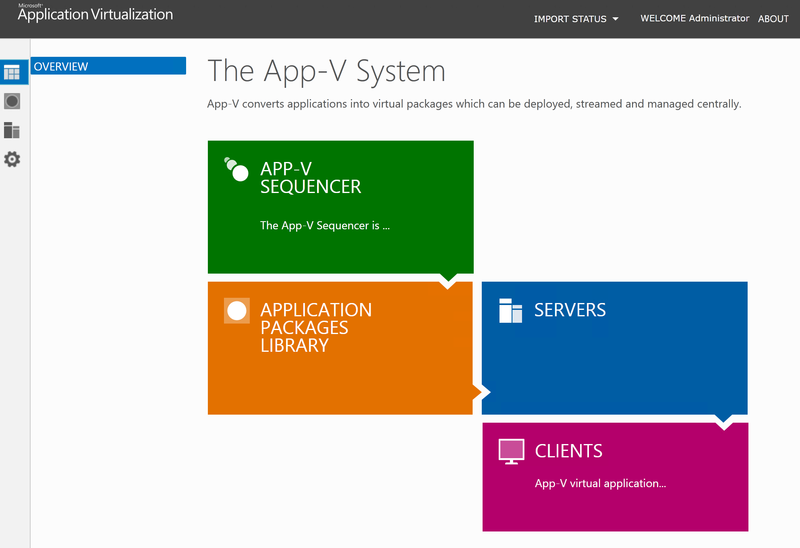 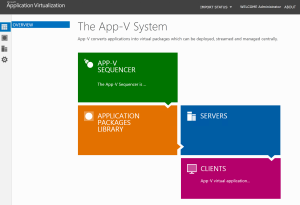 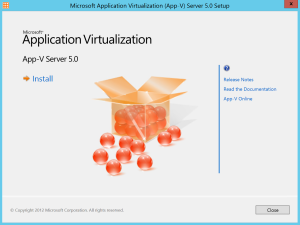 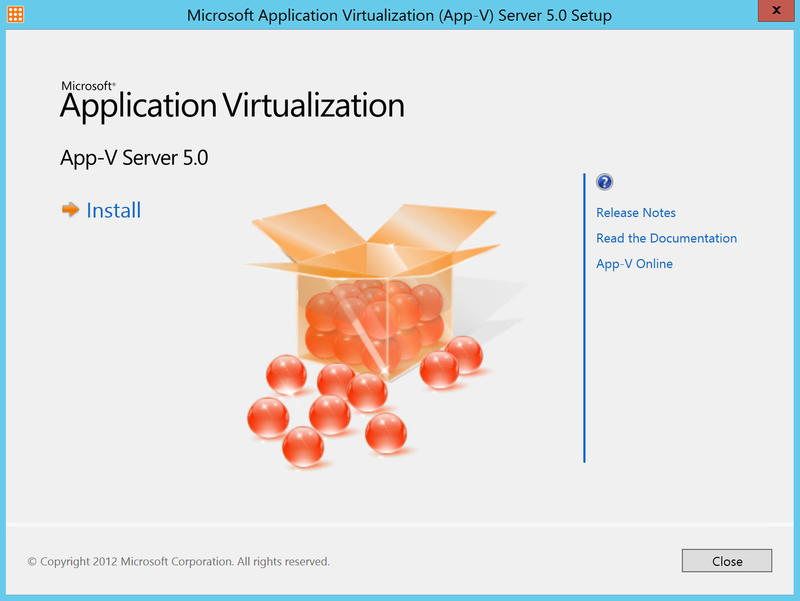 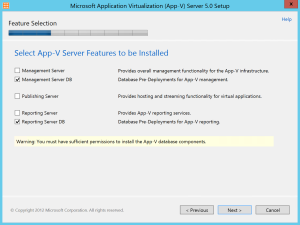 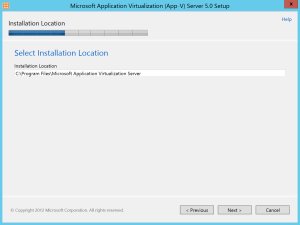 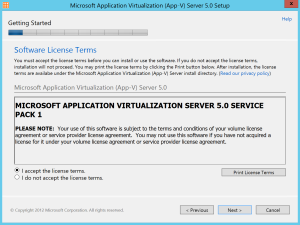 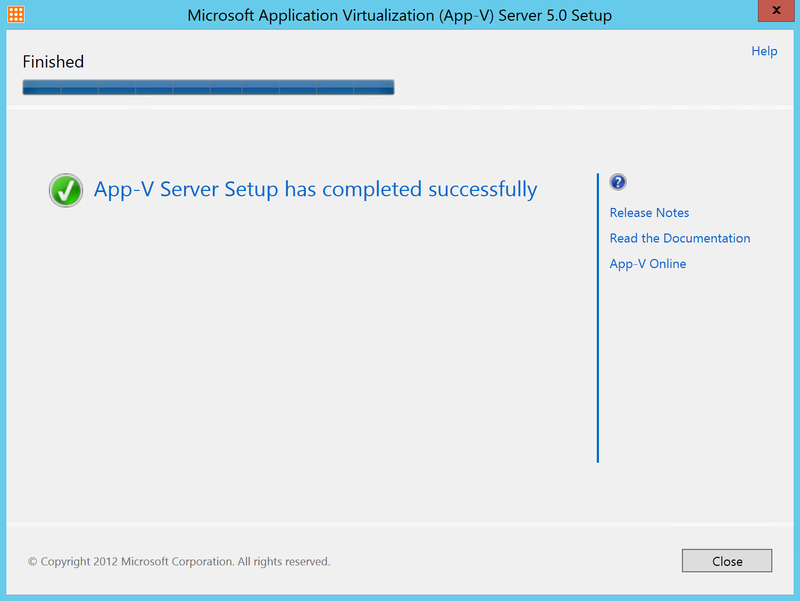 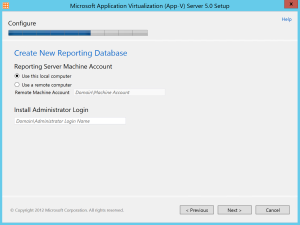 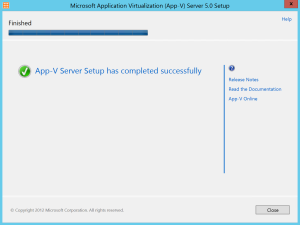 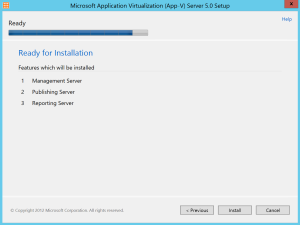 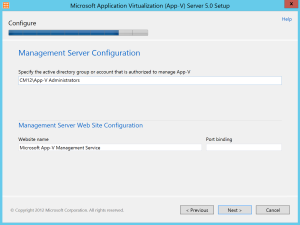 Start with loging in on the APP-V server and mount the ISO, then select to run the installation for APP-V 5.0 SP1 Server and click on “Install”. 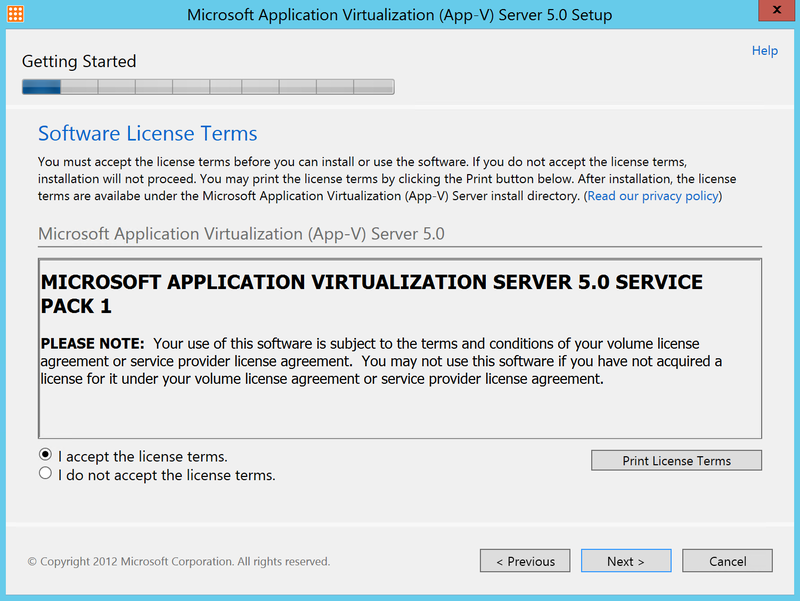 Again, accept the license terms and select a proper value for updates. Next, select to install “Management Server”, “Publishing Server” and “Reporting Server”. 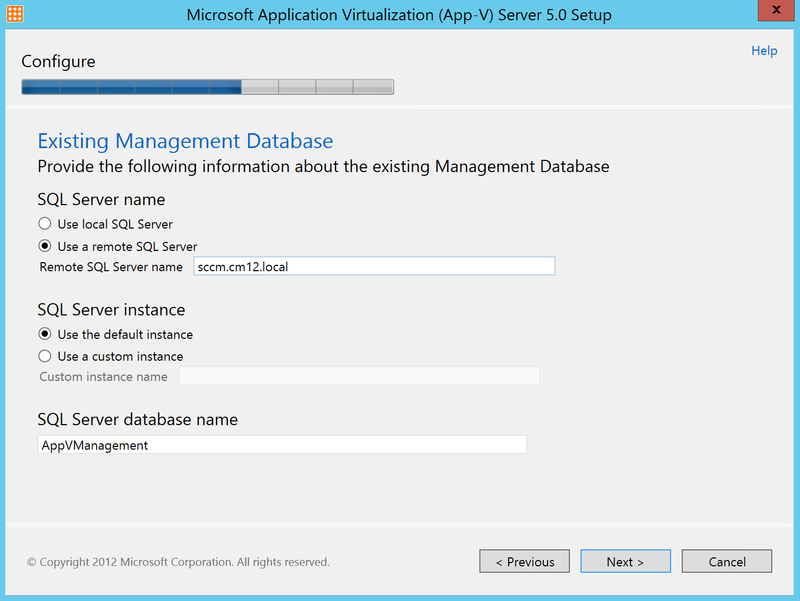 Next specify the settings for your SQL server and enter the name of the database used for management. Do the same thing for reporting. 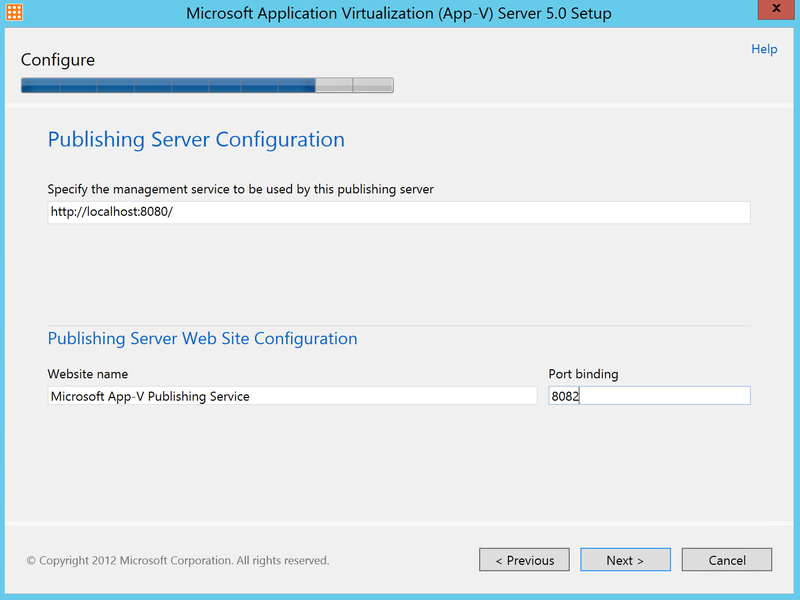 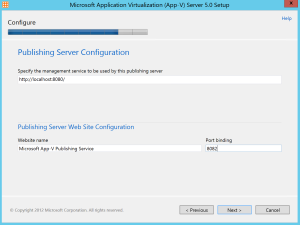 Next, specify the group created earlier, containing the users that are allowed to manage App-V.
Next, enter the details for the publishing server, setting the port that should be used. 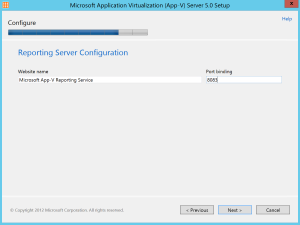 Set the port for reporting server. Verify that all components will be installed and configured, then press “Install”. 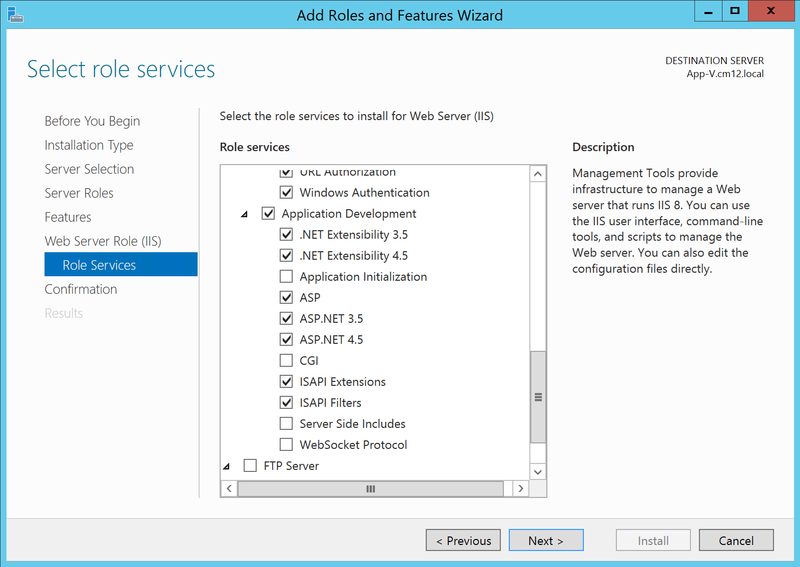 When completed, click on “Close” and open the console in IE. 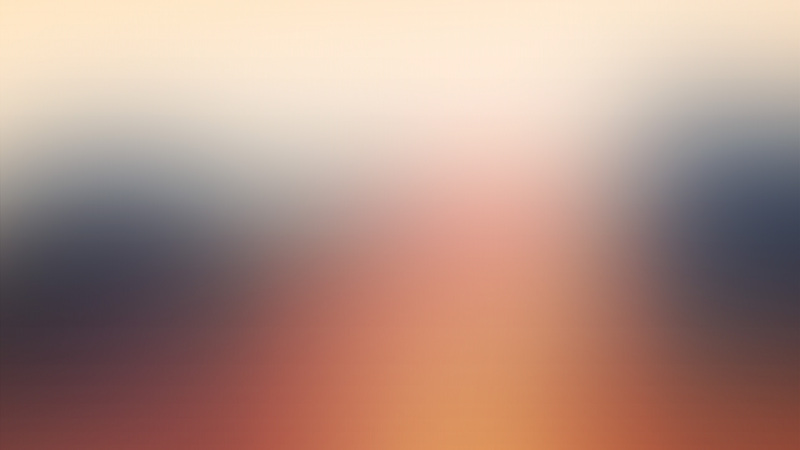 This entry was posted in App-V. Bookmark the permalink.